With the pilot shortage a topical issue in August 2018, today’s Throwback Thursday feature from a previous issue of Australian Aviation goes back in time a decade to revisit our August 2008 analysis of the then looming aviation skills shortage. The aviation industry has been grappling with a serious skills shortage as the major airlines rolled out aggressive growth plans which would require a number of new staff who currently aren’t in the pipeline. But with the recent soaring price of oil which has forced airlines such as Jetstar and Tiger Airways to slow their aggressive growth plans and cut capacity, this could see the current job market dynamics change. What is unsure is whether the current oil spike is a bump in the road or the new base case, and consequently, few people have been brave enough to say whether it could mean a slowing of the aviation industry, and therefore a closing off of career opportunities. Perhaps indicative of the skills shortage and the competition for labour in the industry, the Australian airlines have not yet started laying off staff but have focused on other ways of cutting costs. 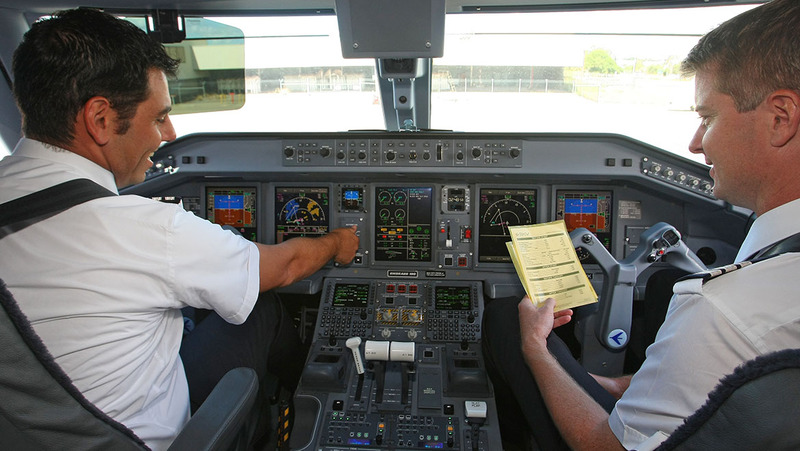 In the short term, it seems that the skills shortage, particularly for pilots, engineers and air traffic controllers across the industry, will continue. There have also been worrying signs that there are not enough skilled workers available or in the training pipeline to cover staff attrition in the longer term. According to the ABS Labour Force Survey in 2006, 19.1 per cent of pilots and 9.6 per cent of aircraft engineers were aged 55 years or over. This could mean that a large proportion of these professionals will face retirement over the coming decade when there seemingly aren’t the people available to cover their positions. However, there is some debate about whether the shortage is being caused by the current industrial relations scenario, under which airlines have been resisting calls to increase pay levels. In some cases, unions have been emboldened by this to push for higher wages, although the airlines have largely resisted the wage demands put to them. However, few unions have been as successful as they had hoped and this action is likely to be tempered by the current high fuel prices. While addressing pay is a short term solution, the industry has recognised that there needs to be an increased focus on attracting people to key positions in the aviation industry, and to ensure that they stay long enough to build the experience which will be needed to continuously train the next generations. One of the key challenges for the aviation industry is that the potential labour pool has shrunk, particularly as other careers such as IT, civil engineering and finance have offered very quick progression and higher salaries than aviation. This has led to a situation where recruiters have had to be competitive with other industries, and there are less candidates passionate for a career in the industry than there have been in the past. The skills shortage is also a concern for the Australian Defence Force, which is trying to shore up its stocks of pilots, technicians and other aviation-related personnel to support the numbers of new aircraft entering service over the next decade. Recently, the federal government released its three-pronged training package which it hopes will help to alleviate the shortage of skilled labour in both military and civil aviation. These include aligning the pilot training standards between CASA and the ADF to allow for easier transfer of pilots between civilian and military flying, harmonising state qualifications in aviation and making it easier for foreign students to train in Australia. The industry has welcomed the moves by government to address the shortage, as has the ADF which potentially stands to lose some of its skilled workers. The smaller pool of people interested in a career in aviation is also creating competition between the ADF and civilian operators for skilled staff, including pilots, technicians and aeronautical engineers. The shortage of pilots is an issue which has hit the headlines over the last year, particularly as some airlines were forced to cancel flights, and a number of operators, as well as Defence, are working to address this situation. Most recently, Jetstar made the controversial move of turning to foreign pilots and announced in June that it will hire 75 pilots on (section of the Immigration Act) 457 skilled migrant visas. Other airlines have reportedly been looking at this option, but the consensus is that it is only a short-term solution to a long-term problem. While the price of oil is putting the brakes on airline expansion in the short term, there is general agreement that the industry will still need more pilots than are currently being trained just to cover retirements, let alone the growth which is still expected. “Even if we cut our capacity by 10 per cent, we still have to train about 1000-1500 new pilots over the next five years to cover retirements and growth,” said Qantas chief pilot Captain Chris Manning at Airservices Australia’s Waypoint conference in June. This demand at the top has pulled a number of pilots out from the regional airlines, which has caused major problems for these operators. “We’re really the unfunded nursery and training ground for the major airlines,” Brindabella Airlines CEO and a director of the Regional Aviation Association of Australia (RAAA), Jeff Boyd, said at Waypoint. For many smaller operators, this is placing severe financial strain on them due to the higher recruiting and training costs of a transient workforce. Further down the chain, the effects through GA are also being felt, with many smaller operators which have traditionally been seen as hour builders now adjusting to having pilots who stay for shorter periods before moving on. The demand from the airlines is also having an effect on flying schools, with many having trouble recruiting flying instructors, particularly experienced Grade 2 and Grade 1 instructors. As Australia has a strong reputation overseas for pilot training, a number of would-be pilots from China and India have been training here. With the government’s new training package, more overseas students are expected, but this may place a great strain on the small base of instructors currently available. Some relief may come from the commitment between CASA and the ADF to harmonise pilot training standards, which could allow some Defence pilots to move into civilian flying for a period of time. Conversely, if a downturn forces airlines to cut pilots, some may get opportunities to fly in the Defence forces. The airlines have been taking steps to address the shortage, with renewed vigour in promoting cadet pilot schemes. The seemingly better job prospects for a cadet pilot has attracted some attention from potential students, and indications are that, as has been the case in years gone by, this will be a major recruiting stream for the airlines. 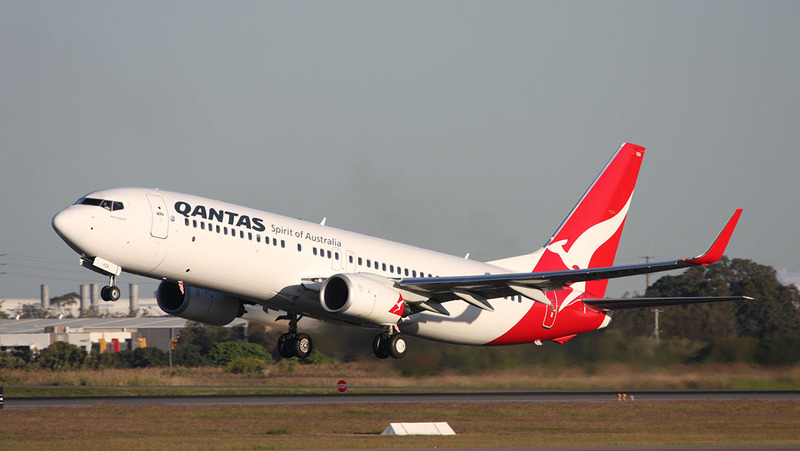 The biggest and longest running cadet scheme in Australia is run by Qantas, and ultimately can take someone with little or no flying experience through to a career as a professional pilot either with Qantas or another operator. This program sees applicants undertake training through Griffith University, Swinburne University or Flight Training Adelaide, after which they enter in a Cadet Industry Placement Program (CIPP), where cadets are placed with other operators to gain more experience before they may be offered a role as a second officer at Qantas with the ability to progress through the ranks after that. The approach of the CIPP has advantages to the regional industry as it ensures that some of these carriers can still get access to pilots, although this is on the understanding that the majority will move on when they get the opportunity. Regional Express was also due to graduate its first batch of cadet pilots from its Australian Airline Pilot Academy in Mangalore in July. Rex’s 18 month scheme allows recruits to become a first officer on the airline’s Saab 340s, or the other aircraft operated by its affiliates Air Link and Pel-Air. These cadet programs have also had an effect on the ADF, which is trying to secure pilots for the next generation of aircraft which are arriving over the next decade. “We’re competing along with the rest of the aviation industry for finding the best of those who are trying to be pilots,” said LTCOL John Fenwick, deputy director military operations at Defence Force Recruiting, and himself an Army pilot. While there has been a lot in the media about the pilot shortage, the biggest need in the industry is to address the shortage of aircraft maintenance engineers (AMEs) and licensed aircraft maintenance engineers (LAMEs). Due to the record number of aircraft entering service around the world, some LAMEs and AMEs have been drawn overseas with the lure of higher pay from operators elsewhere. This has seen the major airlines here pull more engineers from the lower levels, leaving these companies exposed and placing strain on their operations. “I have staff out there that work seven days straight as engineers, and that’s the only way our aircraft fly,” said Jeff Boyd. He also explained that as he is a LAME, he regularly has to pick up the tools in order to keep the aircraft in the air. The rise of third-party maintenance, repair and overhaul companies such as Hawker Pacific or John Holland Aviation Services also drives demand for engineers, while there is also major demand from defence contractors such as Boeing Australia, Australian Aerospace and BAE Systems. AMEs generally gain their qualifications through an apprenticeship, and all indications are that there is not a shortage of employers willing to take on apprentices. However, as more experienced AMEs and LAMES retire over the coming years, some employers may not be able to supervise as many apprentices as they would like. But the avenues for gaining formal qualifications as an AME have also changed slightly over the years, with more TAFEs and other registered training organisations (RTOs) such as Aviation Australia offering courses in aeroskills. With the federal government’s aviation training package, these training centres will now offer standardised courses to ensure consistency among AMEs. 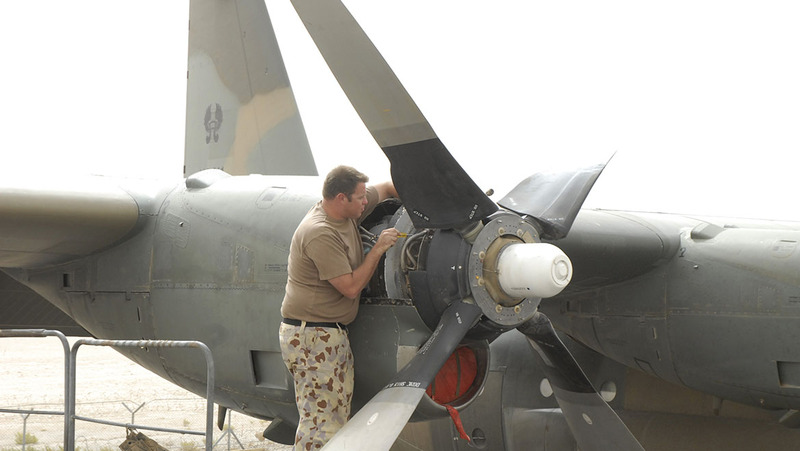 The ADF has also been promoting its training as a path for potential aircraft technicians. “We’re now aligned with NSW TAFE and universities, so all our qualifications are exactly the same,” said SGT Troy Starr from Defence Force Recruiting. Due to the high demand for AMEs and LAMEs, CASA, the RAAA and other organisations have offered scholarships to try and encourage students to take up the trade. In order to address its own technical skills shortage, ADF Recruiting has established a number of specialist recruiting teams which have targeted TAFEs, access programs and other RTOs to showcase the trade opportunities which are available in the services. While these are also focused on more traditional trades, they have also attracted interest from apprentice AMEs. The ADF is also addressing the variety of jobs it can offer through a single career in the forces, something which its research shows is a major attraction for the current young generation. In technical roles, this may include the ability to work in armaments, aircraft life support and the opportunity to step up into leadership roles. The other main area experiencing major growth and opening new opportunities in Australia is aeronautical engineering. This role relates to the design of aircraft and their systems, and there are some good opportunities available. In most cases, conducting work in this field would require a student to complete a Bachelor of Engineering in an aerospace discipline. Such courses are now offered at universities in nearly all states. Graduates with degrees in electronic and mechanical engineering disciplines are also in high demand. Given that Australia currently doesn’t have a large aircraft design and manufacturing base, most aeronautical engineers are employed in the defence services sector or directly with the ADF. Companies such as Boeing Australia and BAE Systems now offer graduate programs for university engineering graduates who are interested in this career path. Most of these programs involve a great deal of structure, and have the benefit of offering additional training opportunities, including sponsorship to become a Certified Practising Engineer. 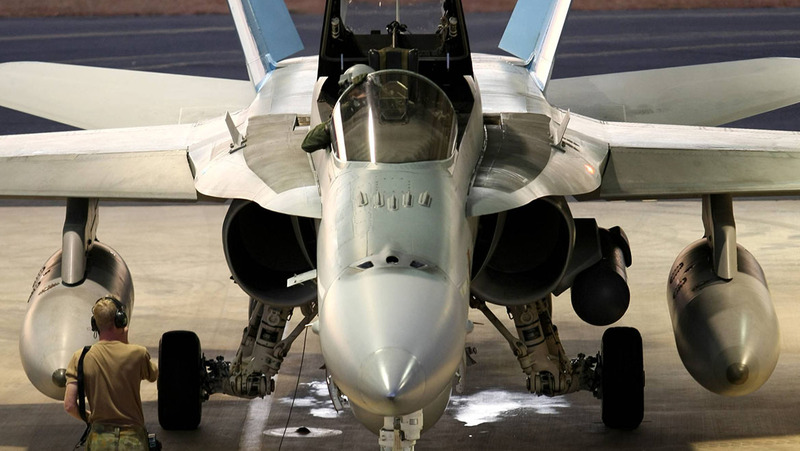 Securing more aeronautical engineers is a major priority for the ADF, particularly as newer aircraft with more technologically advanced systems are coming into the inventory. The ADF offers a Bachelor’s degree in Aeronautical Engineering through ADFA, as well as the opportunity to study at a civilian university under the sponsored undergraduate program. The latter allows students studying engineering to earn a wage while studying, have their Higher Education Loan Program (HELP) debts paid for them, and be guaranteed an officer job with the ADF on graduation. 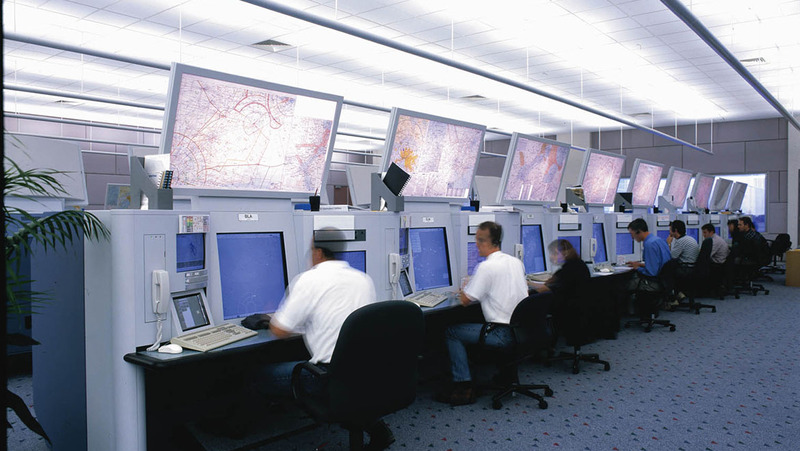 As with the other careers in aviation, air traffic control is one area which has suffered due to a high level of attrition, and competition from around the world due to a shortage of controllers in many places. As a result, Airservices Australia has recently released a new staffing strategy paper. “Over the next 12 months, we’re looking at redesigning and implementing new systems for recruitment, remuneration and communication,” said Caroline Flemming from Airservices at the Waypoint conference. Air traffic control is a highly specialised field, that in Australia means working either with Airservices Australia or the RAAF. There has been a worldwide shortage of air traffic controllers, and in some cases Australian controllers have been lured overseas with positions in the Middle East paying lucratively. This plus a serious absenteeism issue (see our Waypoint feature from page 25) has led to the situation where ATC positions in some areas cannot be covered, resulting in interruptions of controlled airspace services, a situation of serious concern to Airservices and the wider industry. Airservices provides en route control, from centres in Melbourne and Brisbane, which provide coverage over continental Australia and large areas of oceanic airspace. There are also terminal area controllers who work to sequence the flow of arriving and departing aircraft. Finally, there are the tower controllers who control the ground movements at 26 airports around Australia. The job involves having a high level of situational awareness and the ability to process a lot of information and be able to act upon it quickly, which can sometimes be stressful. Airservices says that over the next five years it will more than double the number of trainee ATCOs it takes from 40 to between 80 and 100. These recruits train at the company’s college in Melbourne. This training is largely focused on theory and lasts approximately 12 months, followed by four to six months in final field training, where the recruits will be posted to a control tower or enroute control centre. As it is an important role in maintaining the safety of Australia’s air navigation system, the recruitment process involves some rigorous testing and selection processes. This includes an online cognitive abilities test, psychometric testing, a personality questionnaire and a structured behavioural interview. Controller pay has been a major issue for Airservices which the company is now addressing. Current pay scales see trainees earn from $31,900 per annum, while a senior team leader may earn up to $130,000. However, it is expected that these pay scales will increase as Airservices reviews its remuneration levels and policies as part of its new staffing strategy. The only other training organisation for ATC in Australia is the RAAF, which has also felt the pull of competition on the global stage. ATC in the RAAF adds a new dimension, as it may involve controlling different types of aircraft from fighter jets through to the C-17 transport. In some cases, RAAF ATCOs also control civilian movements at some airports. Training for RAAF ATCOs is done at the School of Air Traffic Control at RAAF Base East Sale in Victoria over 36 weeks. This course involves both theory and practical elements and covers the range of surface, tower, approach and area control. Operational requirements have seen RAAF ATCOs deployed in areas such as East Timor, Iraq and Aceh to help support ADF deployments and ensure that flying operations are safely controlled. RAAF ATCOs are sometimes also attached to Navy and Army deployments to provide specialist advice. As the aviation industry has grown at the front end, so have the needs for other staff to perform administrative functions, and the major airlines, government departments and the ADF all have programs for university graduates. Qantas has run its graduate program for a number of years. In this program, it offers places for people with an interest in the airline industry to work in the areas of the corporate office, engineering, risk management, IT, internal auditing and finance. Similarly, Jetstar now runs its own graduate program, offering opportunities in three streams – commercial, administration and operations. These placements last for three years and see graduates rotate through different departments within their particular stream. Virgin Blue has just closed recruitment for its first graduate program, but will once again open it from the end of this year for a 2010 intake. This airline offers graduate recruitment in five streams – commercial, engineering, finance, IT and HR – with each program tailored to that area. The government bodies dealing with aviation, including the Department of Infrastructure, Transport and Local Government, Airservices Australia and the Defence Department, also have graduate programs available which accept graduates of various disciplines. While these offer great pathways for those who are interested in the industry but may not want to take on the role of a pilot, engineer or ATCO, the positions are also more susceptible to the downward cycle. With pilots and engineers valuable to the airlines, it is likely that any job cuts in the near future may come from administration jobs. On the other hand, the career prospects outside aviation for professionals with qualifications and experience may offset any decline. The ADF’s sponsored undergraduate program is another alternative for those studying medicine, dentistry, nursing, business or arts and guarantees a job in the ADF. The critical shortages across the key areas of pilots, engineers and air traffic control have led the industry to examine ways to address this problem. The answer has been to offer more training avenues and financial incentives to attract interested students from an increasingly competetive pool into these jobs in order to provide an ongoing stream of skilled workers to the growing industry. However, it remains to be seen what effect the price of oil will have on career prospects in aviation. Although skilled jobs have been safe thus far, if the airlines are forced to cancel aircraft orders and shrink dramatically as they have been in the United States, this could change quickly. The upside is that should this happen, there are still likely to be a number of positions available for pilots, technicians and other roles within the ADF. This article originally appeared in the August 2008 edition of Australian Aviation magazine. Hi, Thanks for such informational content. It’s true that there a huge shortage of Aircraft Maintenance Engineers. With the Increase in the aircraft in the airline industries, the demand for the aircraft maintenance technicians is increasing, therefore opportunities for them grows in India and abroad.